Being a Leo and born in the year of the tiger - I am one crazy cat! I also want to celebrate some influential people that have impacted my life and have been great muses for all that is creative in me today. 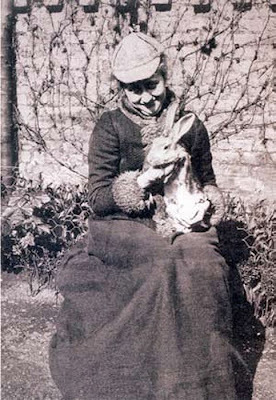 Beatrix Potter (28 July 1866 – 22 December 1943) One of the greatest authors of all time. Her imagination and stories have been in my life since I was in my mother's womb. She made Peter Rabbit come to life and made going to bed a little easier on my parents. Beatrix still lives on in daily life (whenever I'm calling out my cat's name or browsing her miscellanious merchandise at many a store in town) and will live on through my children and hopefully my children's children (way too many children to think about). Beatrix Potter, thank you for being there for me! 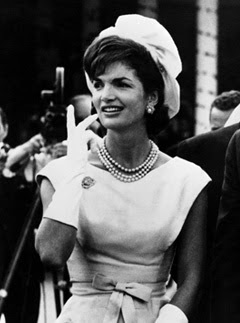 Jacqueline Kennedy Onassis - girl, you've got style! (July 28, 1929 – May 19, 1994). "The First Lady" in office and in awesomeness! She has this calming grace about her. I wish I could have met such a wonderful woman. I loved all of your outfits! (check her draped in pearls to the right). 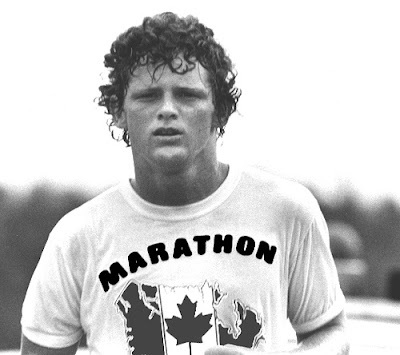 I also want to give a shout out to Terry Fox (July 28, 1958 – June 28, 1981). Terry, without you, I wouldn't even have tried running in cross country meets in school. But you seem to move me when I think of how you jogged across Canada on one leg and a prosthetic! You know, I was so enthralled with you, that I actually made this one legged man out of things I found outside in a "Kids are it" week seminar? Our project was to find things outside in 45 minutes and to create something meaningful to us. Bear in mind, I was very, very young - and I actually had just your one leg hanging from the ceiling (built from the top down) when the organizer asked me; "Michelle, what do you call this?" I said "Terry Fox- as you can see I only found enough for one prostetic-styled leg ... we have the same birthday, did you know ... this one time ..." (and I trailed off into Terry Fox's life) We would have totally dated.